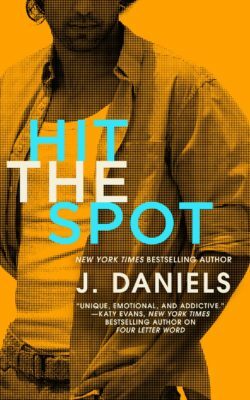 New York Times bestselling author J. Daniels brings us the second book in her Dirty Deeds series. Jamie McCade always gets what he wants. The sickest wave. The hottest women. And Tori, with her long legs and smart mouth, is definitely the hottest one. He knows Tori wants him—hell, most women do—but she won’t admit it. After months of chasing and one unforgettable kiss, it’s time for Jamie to raise the stakes. Jamie promises that soon Tori won’t just want him in her bed, she’ll be begging for it—and he might be right. Somehow he’s found the spot in her heart that makes her open up like never before. But with all she knows about his past, can she really trust what’s happening between them? Is Jamie playing for keeps or just playing to win?